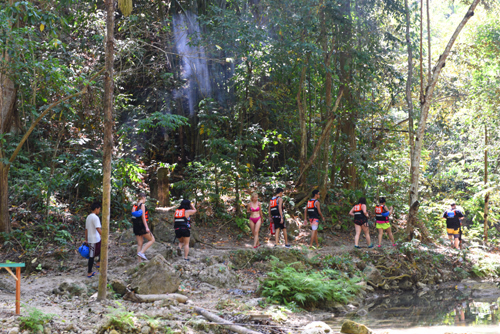 'Kawasan falls Cebu is a peaceful natural place' and 'A gentle hush of rushing ice cool water' DO NOT BELIEVE that! 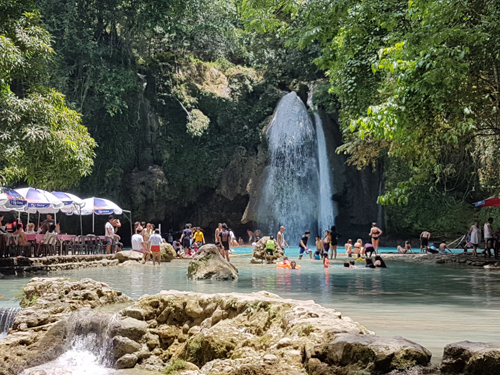 To promote Kawasan Falls as a peaceful place is wrong, it is a place to have a great time playing in around and under the lovely waterfalls. It is a very popular place with visitors both foriegn and local and both visit in large numbers so be prepared for crowds and people eating, drinking, laughing, playing musice, running, leaping into the water, taking endless selfies and generally having a good time. 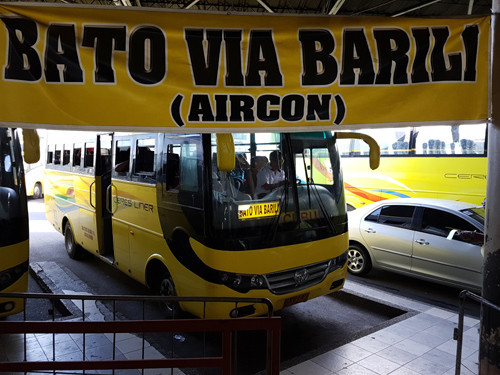 Getting to Kawasan from Cebu City is very straightforward, go to the southern bus terminal and look for a bus going to BATO VIA BARILI during the day they leave around every 30 minutes, the fare is P147 aircon bus / P 120 regular bus and you need to ask the conductor to drop you off and Kawasan Falls. the trip takes around 3 hours and they drop you right at the path to the falls.